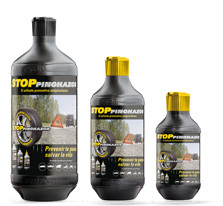 Installing STOP PINCHAZOS in the wheels of your car, automatically repairs punctures and forever. Forget about the setbacks caused by punctures. 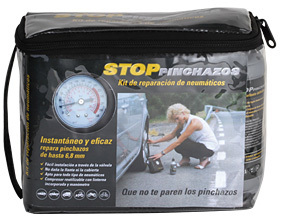 STOP PINCHAZOS is also available in a handy kit for repairing punctures. In a very simple and fast way, you can repair a puncture and continue the march safely.